Positive: Decent cameras; nice design; excellent display. Negative: No memory card slot. 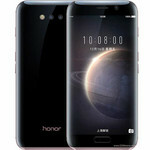 Model: The Huawei Honor Magic comes with a nice 5.09-inch AMOLED curved display with QHD resolution (577 ppi), and Honor took one step further by also curving the top side. These three round edges are mirrored to the phone's glass back. The moderate body size plus the curved back makes the Huawei Honor Magic feel nice in the palm. The usual Android navigation keys below the screen are gone. They are all rolled into the multi-function fingerprint reader on the front: Press for home, double tap to show recent apps and swipe left to go back. The Honor Magic is available in Golden Black and Porcelain White. It is powered by a Kirin 950 processor, which is the same octa-core SoC as in the Huawei Mate 8. However, it still comes with 4 GB of RAM plus 64 GB of internal storage. As for the battery, it comes with 2,900 mAh battery with new graphite structure courtesy of Huawei's 2012 Lab. According to Huawei’s tests, a 10-minute charge can already get a depleted battery back to 40 percent, whereas a 20-minute charge gets you up to 70 percent. Another addition to the Magic is the infrared camera on the front, which makes use of Tobii's eye-tracking algorithm (similar to the one usually found in devices with Windows Hello function). When a user picks up the phone, the screen will automatically turn on only when the user is looking at it. This means user won't have to find the power button while picking up the phone. Besides that, there is Facecode feature where notification content on the lock screen is hidden by default, but it's automatically displayed when the phone recognises your registered face. In theory, all these features are helpful but only extensive tests can show its true usability. Honor's Magic Live UI is based on Android 6.0 and packs many situation-aware features. For instance, over time the phone will learn that when a user goes to work at 7 AM, the user tends to listen to music. From this situation, it will show the music app's icon in the bottom left corner of the lock screen around that time. Another useful scenario is when user whips out the phone in the dark, that same spot will give the user the flashlight button just in case. All of this is a bit like Google Now but without having to unlock the smartphone. 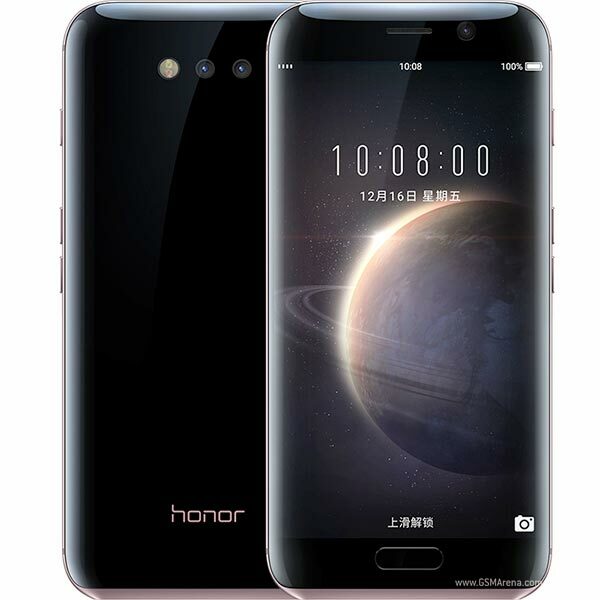 As for the camera, the Huawei Honor Magic features the same set of cameras as the Honor 8, which is a 12 MP f/2.2 dual-lens camera plus an 8 MP f/2.4 selfie camera. It would have been better if Huawei had fitted it with one of its Leica lenses but this does the job too. It supports global LTE bands and dual SIM connectivity. However, secondary SIM is limited to 2G network only. The Magic measures at 146.1 x 69.9 x 7.8 mm and weighs at 145g. The Huawei Honor Magic is a rather interesting phone. It takes the current bezel less design scheme employed by many manufacturers and amplifies it. With the right price, this would be a good device to own especially with its capability to offer uniqueness.